Pakistan shuns US for Chinese high-tech weapons In sign of shifting balance of power, Islamabad buying advanced military equipment from Beijing Share on Twitter (opens new window) Share on Facebook (opens new window) Share on LinkedIn (opens new window) Save Save to myFT Kiran Stacey in Islamabad 13 HOURS AGO Print this page92 In the last few months of the Obama administration, the US state department made an announcement which caused a new breach in Washington’s tumultuous relationship with Pakistan. John Kirby, then the department’s spokesman, said Congress had decided to approve the sale of eight fighter aircraft to Pakistan. For several years now, Chinese financial assistance has been an important source of support for Pakistan’s economy. China was Pakistan’s largest lender in the year 2017. Since then, Chinese support has only further intensified; according to reports, China recently offered commercial loans worth $1 billion to Pakistan. There are additional reports suggesting China and Pakistan are presently deliberating signing another deal of perhaps about the same estimated value. While these events may allow room for some optimism regarding the future of Pakistan’s economy, with the country’s recent inclusion in the Financial Action Task Force (FATF)’s grey-list (to take effect in June), there is perhaps a need to exercise some caution in increasing dependency on China. Pakistan’s Western Frontiers comprising Balochistan, Khyber Pakhtunwa Province and Federally Administered Tribal Areas (FATA), have been restive for decades but recent Pakhtuns widespread protests in Islamabad and in rest of Pakistan has been described by Pakistani columnists as “The Awakening” and the “Pakhtuns Spring”. That this new phenomenon emerging on Pakistan’s domestic politics milieu is worrisome can be judged from a virtual blackout imposed on Pakistani media, obviously on orders of the Establishment. Easily dismissed as a limited occurrence but surely, it cannot be wished away when it is kept in mind that this discontent is seething for decades. Pakistan’s government has recently approved mainstreaming of the Federally Administered Tribal Areas (FATA) in an effort to bring the FATA region within the legal and governance structures of the rest of Pakistan and place it on a footing of parity. The mainstreaming should aid the FATA people economically and reduce militancy in the region, which would contribute greatly to Pakistan’s peace and security. Despite government approval and repeated assurances by the country’s top leadership that changes in the FATA governance system is a must and the status quo must end, the process has been stalled, as there are differences in opinion on the future status of FATA. Still, many tribesmen are hopeful the government will go ahead with the approved plan of mainstreaming FATA and their agony will end. US President Donald Trump has taken a radically protectionist approach to trade. 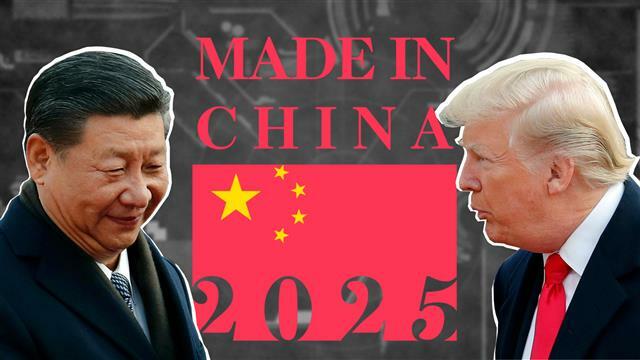 Trump has launched a series of unilateral moves including increasing tariffs on steel and aluminium imports on national security grounds and announcing plans to impose tariffs on US$60 billion of Chinese imports. Uncertainties regarding continued access to the US market have forced Asia Pacific countries, for whom trade is an economic lifeline, to pivot beyond Trump-led America by adopting a three-pronged policy response: the acceleration of mega free trade agreements (FTAs), the enhancement of regional connectivity and the deepening of interregional economic cooperation. Can China Realize Africa’s Dream of an East-West Transport Link? African development hinges on a maddening paradox: its greatest asset—the sheer size and diversity of its landscape—is also the greatest barrier to its development. Landlocked countries are cut off from ports, and the difficulty of moving goods from country to country weighs down intra-continental trade (only 15% of African trade is within Africa. (African Development Bank, 2017) African consumers bear the brunt of these difficulties. . Costs are driven up by a host of factors: tariffs, border delays, corruption. But the biggest challenge is that no streamlined transport route exists between West and East Africa – only a decaying and underdeveloped road and rail system which pushes up costs and drags down efficiency. 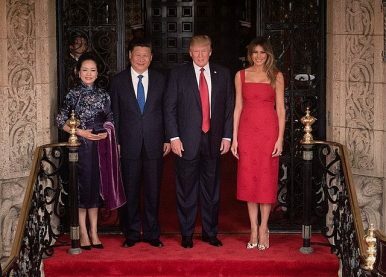 Given recent developments in the global economy, especially Brexit and the Trump administration’s “America First” policy, it is worth assessing how Africa’s three largest commercial partners—China, the European Union, and the United States—are likely to impact the region in the near future as it relates to trade and investment trend. The China-in-Africa story may be increasingly familiar, but its complexity cannot be overstated. As China’s domestic growth began to surge at the end of the last century, demand for natural resources and job creation forced China to look for markets abroad. Africa was a willing partner, due to its abundance of commodities and need for infrastructure development. Close observers can glean clues about Chinese government policy based on the degree of censorship on discussions of certain topics. For example, I have been following the North Korean issue closely. After the conclusion of the annual sessions of the National People’s Congress and Chinese People’s Political Consultative Conference on March 20, many articles related to North Korea on my WeChat public account were deleted by the network management department, even including those posted back in 2015. At that moment, I predicted that there would soon be some changes in Chinese policy toward North Korea because I criticized North Korea in many of my articles. It turned out that Kim Jong-un visited Beijing shortly after that. What is the concept of systems confrontation and system destruction warfare in PLA writings? What is the template of the PLA's operational system? What are some examples of task-organized operation system of systems? This report reflects an attempt to understand current thinking in the Chinese People's Liberation Army (PLA) regarding system of systems and systems warfare, as well as current methods of warfighting. It also serves as a guidebook to the already substantial number of systems and systems-related concepts that abound in PLA sources. By examining numerous Chinese-language materials, this report (1) explores how the PLA understands systems confrontation and comprehends prosecuting system destruction warfare, (2) identifies the components of the PLA's own operational system by looking at the various potential subsystem components and how they are connected, and (3) examines selected PLA operational systems identified in PLA literature and envisioned by the PLA to prosecute its campaigns, such as the firepower warfare operational system. This report should be of interest to military analysts and scholars of the PLA, policymakers, and anyone else who seeks insight into how the PLA conceptualizes and seeks to wage modern warfare. AT A time when President Trump’s National Security Strategy claims to be one of “principled realism that is guided by outcomes, not ideology,” three new books take different sides in the long-standing battle between realists and neoconservatives. Robert Kaplan’s collection of essays, The Return of Marco Polo’s World: War, Strategy and American Interests in the Twenty-First Century, presents a well-crafted case for a hard-headed approach to international security that nevertheless incorporates America’s idealistic impulse. Elliot Abrams, on the other hand, makes an impassioned plea for a return to the democracy agenda so beloved of the neocons. As the title of his book, Realism and Democracy: American Foreign Policy after the Arab Spring, makes clear, however, he attempts to cloak his interventionist views in realist terminology. Harlan Ullman charts a third course. His Anatomy of Failure: Why America Loses Every War It Starts asserts in effect that neither approach has been consistently underpinned by what he terms “sound strategic thinking,” with the result that U.S. policy has suffered setbacks both on and off the battlefield. by Mr. Jeffrey L. Caton. • Existing Doctrine: This section presents an overview of the current state of joint and U.S. Army doctrinal development for each of the domains of land, space, and cyberspace. Army General Valery Gerasimov, the chief of the General Staff of the Russian Armed Forces, presented his reflections on future conflicts, on March 24. Notably, he argued that “the enemy’s economy and command-and-control system (C2) will be priority targets [for potential Russian attacks].” And aside from traditional warfighting domains, Russian forces will increasingly operate in the information sphere and outer space (Tvzvezda.ru, RIA Novosti, March 24; see EDM, April 3). Gerasimov outlined five practical steps Russia needs to take to be ready for future wars (TASS, March 24): Develop an inter-service automated reconnaissance system. This should profoundly reduce the time cycle for completing fire missions (by 2–2.5 times) and increase the accuracy of targeting (by 1.5–2 times). On Monday, the U.S. and UK jointly blamed Moscow for cyber intrusions into the backbone of the internet – the routers and switches that are the gateway for internet access in major corporations and your home office. 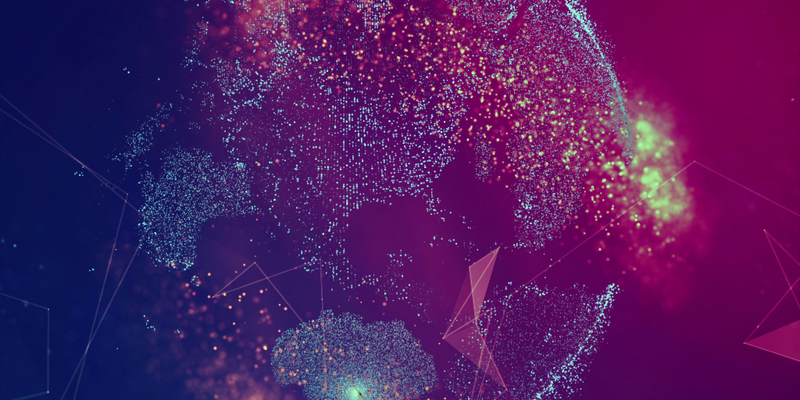 “Since 2015, the U.S. government received information from multiple sources – including private and public sector cybersecurity research organizations and allies – that cyber actors are exploiting large numbers of enterprise-class and SOHO/residential routers and switches worldwide,” said the technical alert published by the U.S. Department of Homeland Security. “The U.S. government assesses that cyber actors supported by the Russian government carried out this worldwide campaign. These operations enable espionage and intellectual property that supports the Russian Federation’s national security and economic goals,” it continued. Since its 2008 incursion into Georgia (if not before), there has been a remarkable evolution in Russia's approach to propaganda. The country has effectively employed new dissemination channels and messages in support of its 2014 annexation of the Crimean peninsula, its ongoing involvement in the conflicts in Ukraine and Syria, and its antagonism of NATO allies. The Russian propaganda model is high-volume and multichannel, and it disseminates messages without regard for the truth. It is also rapid, continuous, and repetitive, and it lacks commitment to consistency. Although these techniques would seem to run counter to the received wisdom for successful information campaigns, research in psychology supports many of the most successful aspects of the model. Furthermore, the very factors that make the firehose of falsehood effective also make it difficult to counter. Traditional counterpropaganda approaches will likely be inadequate in this context. More effective solutions can be found in the same psychology literature that explains the surprising success of the Russian propaganda model and its messages. “I grew up flying fighters,” says Gen. David Goldfein, the Air Force Chief of Staff, "and I will tell you, when I see the F-35, I don’t see a fighter. I see a computer that happens to fly." ARLINGTON: “I grew up flying fighters,” says Gen. David Goldfein, the Air Force Chief of Staff, “and I will tell you, when I see the F-35, I don’t see a fighter. I see a computer that happens to fly.” It’s not just the F-35, Goldfein told a Mitchell Institute audience this morning: “You also have to think about an Aegis cruiser in a different way. You’ve got to think about a Brigade Combat Team in a different way.” “I’m so adamant that, if we start thinking about these systems as not the planes or ships or what have you but as computers we need to connect….it gives you new insight,” Goldfein elaborated to reporters after his public remarks. Russian President Vladimir Putin toasts with Defence Minister Sergei Shoigu after a state awards ceremony for military personnel who served in Syria, at the Kremlin in December 2017. Recent Russian cyber intrusions in U.S. critical infrastructure have been interpreted as a signal that Moscow "could disrupt the West's critical facilities in the event of a conflict." But is that the signal the Kremlin meant to send? Erica D. Borghard is a research fellow at the Army Cyber Institute at the U.S. Military Academy at West Point. The views expressed here are personal and do not reflect the policy or position of the U.S. government. You can follow her @eborghard. One day last May, employees of Britain’s health service logged on to their computers to find a startling discovery: their data had been encrypted, rendering it inaccessible until and unless they paid a ransom to have their data unscrambled and their access to it, returned.They were the first known victims of the WannaCry attack and in the days that followed, the virus spread rapidly, infecting more than 200,000 computers in more than 150 countries, creating a global crisis. As the threat rapidly spread from Europe to Russia to China, a U.S. government team that sits within the Cyber Threat Intelligence Integration Center (more affectionately known in acronym-loving circles as CTIIC) brought the concerning developments to the attention of their director, Tonya Ugoretz. As with all significant threats, she remembers the details well. Scenario 1: A light infantry platoon advances cautiously without tank support along a narrow rubble strewn street in a regional town, recently occupied by an extremist group. Then with no warning a swarm of flying attack drones appears 100 meters forward of the lead rifle section. Each semi-autonomous quad-copter carries a nanoexplosive device, which when detonated acts as an anti-personnel grenade. As two-dozen+ ‘flying nano-grenades’ hurtle towards the rifle platoon, a prescient Section Commander does not hesitate in ordering the rifle section to open fire. The drones are too close to call for indirect fire support, but accurate rifle and machine-gun fire destroys most of them. WHEN AT THE LEADING EDGE OF TECHNOLOGY AND PLOUGHING NEW GROUND…IF YOU DO NOT HAVE FAILURE EVERY NOW AND THEN, YOU ARE NOT TAKING ENOUGH RISKS. An inherent tension exists in U.S. military culture. Intellectually, military members recognize the need to embrace technological innovation and change to survive in a complex and adaptive environment, yet the military organizational structure favors slow and deliberate development. Bureaucracies prefer stability, because innovative ideas are inherently risky and can create losses if they fail. The safer strategy is to embrace tried and true approaches, which are both easier to defend from an investment standpoint, and comfortable and familiar. Therefore, particularly in an age of fiscal limitations, the military is more apt to invest in proven technologies and to find efficiencies that it is to experiment with innovations. It is hard to accept risk when you are in the lead. So how do strategic innovators resolve this paradox? The answer lies in changing the military mentality. This Perspective places deterrence within the broader spectrum of influence strategies available to international actors. It focuses on the domains of space and cyberspace and on two subareas of the land domain of warfare: hybrid warfare and terrorism. Potential in-domain and cross-domain strategies of deterrence by denial or by threat of punishment are suggested for each focus area. The author concludes that establishing effective deterrence against attacks in space and against the use of hybrid warfare tactics are the two most urgent priorities. Legislative action, demonstrative exercises, collective security agreements, retaliatory strikes against opponent systems, and creating a visible ability to hold adversary systems of political control at risk are recommended as remedial steps in the space domain. Enhanced abilities to interdict "troll armies," conduct information operations, identify the national origin of combatants, respond collectively, and deploy military quick reaction forces to neighboring states by prior agreement with them are suggested as remedial steps for hybrid warfare. The Perspective outlines criteria by which to prioritize between strategies of deterrence: denial over punishment, nonescalatory strategies over escalatory ones, and reversible strategies over irreversible ones. Even when limited to deterring terrorism and war with China and Russia, implementing a doctrine of cross-domain deterrence would be complex and would have significant resource implications. Political capital would need to be spent to achieve allied consensus and international political support for the strategy, and agencies stood down at the end of the Cold War might need to be reestablished. How has successful change previously occurred in the U.S. Army, Joint, and U.S. Department of Defense policy regarding SOF? How can these observations inform future development of options for policymakers and to articulate ways in which the varied Army Special Operations Forces capabilities can help to meet U.S. national security objectives? How can future planning and execution by the Army Special Operations Forces, the Army, and the joint operations community be informed by an analysis of past decisions?